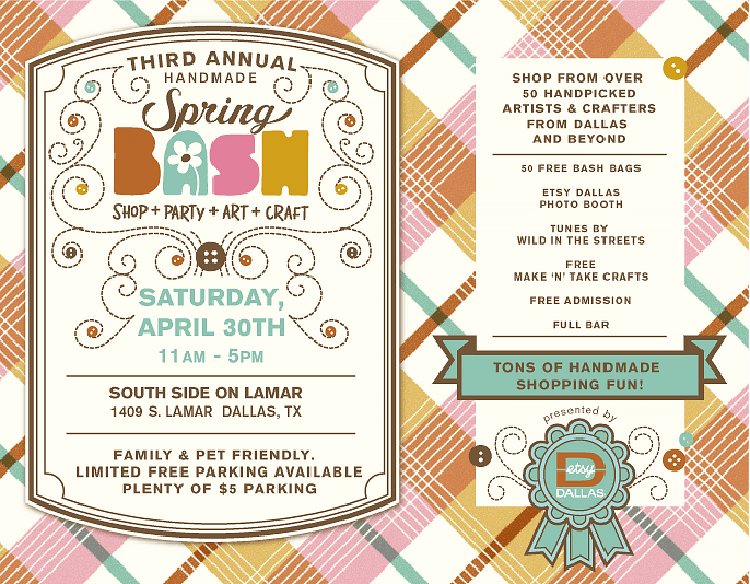 This year’s Bash takes on a colorful “Homecoming/Prom” theme and will offer shoppers the very best in handmade, bags, jewelry, home décor along with a full day of art, music, charity, booze, free stuff, and gobs of crafty fun. It’s this coming Saturday, April 30 at South Side on Lamar. Go here for more info.